The Americans with Disabilities Act tells us that all public spaces should be accessible to persons with disabilities, including some digital spaces and those accessible via the Internet. ADA website compliance laws are working their way through the courts. So, it’s not quite clear what the risks of not having an ADA compliant website are. Of course, the Internet is a big place and making every website ADA compliant isn’t exactly realistic. But if you’re a digital publisher or a small business owner that’s looking to reach a wide audience with your website, you need to be aware of the ADA and the risks of not complying with the law. You could face a lawsuit if a person with a disability claims they cannot access your website. 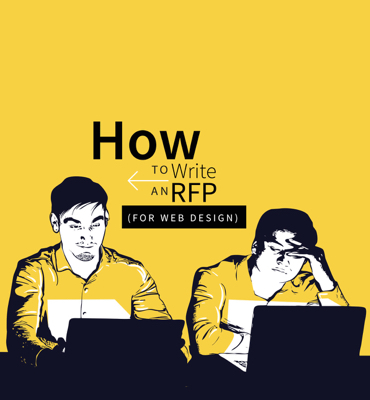 You might endure legal fees, a possible settlement, a potential public relations problem, and the cost of rebuilding your website so that it complies with the ADA. Protect your business or organization and learn about all the risks of not having an ADA compliant website. There are many risks of not having an ADA compliant website. The biggest risk, however, is a potential lawsuit from a plaintiff with a disability that claims they do not have adequate access to the content on your website. This may be a potential customer with a disability that simply cannot access or purchase the goods and services on an eCommerce website, a disabled student looking to apply to a university online, or a person with a disability that’s interested in filling out a job application online. Most of the ADA website compliance lawsuits that we’ve seen thus far have fallen under one of these categories. If a person is unable to apply for employment or enrollment at a university online due to their disability, that person would have a strong case for discrimination in court. As reported by the New York Times, eight ADA website compliance lawsuits were filed against universities across the state within a time period of just two weeks. But if you’re not sure whether your website needs to be ADA compliant, join the club. According to a report by The Seyfarth ADA Title III News & Insights Blog, a legal blog that’s been tracking the rise of ADA website compliance lawsuits, 751 suits have been filed against website owners since the start of 2015, with 432 of these suits being filed in the first half of 2017 alone. This alarming trend is throwing the online world into a frenzy. 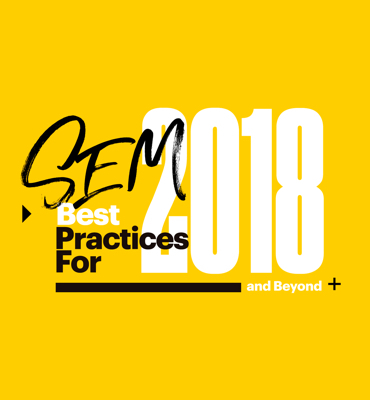 Website owners, major corporations, and digital publishers are uncertain of whether they’re legally obligated to make their content more accessible to users with disabilities. The main reason for all this confusion is the lack of legal consensus as to which websites fall under the jurisdiction of the Department of Justice and the ADA. Websites tend to fall under this category if they are considered “a place of public accommodation.” This is essentially an extension of a physical location such as a brick and mortar store or a university. Yet, different circuit courts have different interpretations of the law and what validates a plaintiff’s argument that they are, in fact, victims of discrimination. A recent case in Florida involving the grocery store chain Winn-Dixie highlighted some of these issues when it became the first ADA website compliance lawsuit to go to trial. The plaintiff argued that 90% of the grocery store’s website is inaccessible using JAWS. JAWS is a software program that reads text on the screen for the visually impaired. Legal representatives for the company argued that the Winn-Dixie website is not a place of public accommodation. Therefore, it should not be made to comply with the ADA. The court ruled that Winn-Dixie violated the law because of the supplementary content offered on its website. The content tied to the store’s physical location, such as coupons for in-store purchases, store location services, and the option to renew a prescription medication online. As you can see, the court’s decision in these two cases contradict one another. This opens the floodgates for more ADA website compliance lawsuits. While many of these cases are handled privately behind closed doors, it’s unclear which cases will hold up in court. As a website owner, you might forgo ADA compliance because your website isn’t considered a place of public accommodation. That outcome is far from assured in court. New ADA website compliance lawsuits are popping all the time. Plaintiffs bring charges against websites across a wide spectrum of industries, including education, finance, insurance, and hospitality. Overall, we’re seeing a rising trend of judges siding with the plaintiff in these types of cases. From the plaintiff’s point of view, bringing a suit against a company and their website offers little to no risk. Some lawyers will even forgo any upfront legal fees because companies tend to settle these types of cases. It’s also easy to prove discrimination in court. All the lawyer has to do is show their client failing to access the website’s content. The real merits of the case rest on the question of whether the website is considered a place of public accommodation. For many website owners, it’s better to be safe than sorry and pay a small settlement upfront, or they risk going to court where the outcome can be unpredictable. Simply put, no one can say with 100% certainty that a website is exempt from ADA compliance laws. As a website owner, the choice usually comes down to spending the money to make your website ADA compliant and taking the chance that you won’t be sued in federal court. If you are sued by a person with a disability, paying for a lawyer that specializes in ADA website compliance to represent to your company or organization may only be a part of your legal fees. Depending on the outcome of the case, you may also have to pay for the plaintiff’s legal fees. This can easily amount to tens or hundreds of thousands of dollars or more. The Web Content Accessibility Guidelines (WCAG), as laid out by the World Wide Web Consortium, have become the new legal standard when determining if a website is adequately accessible to persons with disabilities. The cost of rebuilding your website according to these guidelines might outweigh any legal fees. However, if you do decide to take the risk of not having an ADA compliant website, there’s a good chance that you might end up paying to rebuild your website so that it complies with the ADA as well as the legal fees brought on by a lawsuit. Building and launching a website that represents your company or organization can be a massive financial undertaking. The overall amount depends on the size and scope of the content you plan to offer online. Smaller websites can cost as much as $10,000 or less. Larger sites that consist of 100 pages or more can easily reach upwards of $100,000. Why spend all that money building a beautiful website only to rebuild it because you’re being sued? The more practical option is to build a website that complies with the ADA right from the get-go; otherwise, you might end up paying for the same web design services twice. If you are forced to redesign your website so that it complies with the ADA because of an unexpected lawsuit, you might have to put any plans you have for your company on hold. 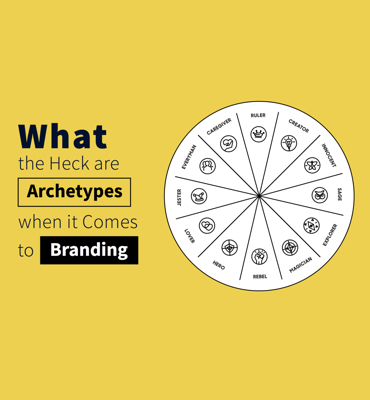 For example, you’ll want to address any accessibility issues with your website before you reach out to potential investors and business partners. Similarly, you don’t want to have to rebuild your website as you’re right in the middle of launching a new web service or product online. In case you haven’t heard, customers are using social media to hold businesses accountable. Facing a public lawsuit because you failed to accommodate persons with disabilities can lead to a public relations disaster. It can harm your company for years to come. Word travels fast on the Internet, and no one wants to be perceived as excluding the disabled community. Not having an ADA compliant website also means turning away a large portion of your target audience. According to the U.S. Census Bureau report from 2010, 8.1 million Americans were considered blind or unable to see, 7.6 million Americans had difficulty hearing, and 19.9 million people had difficulty lifting or grasping objects like a pencil or a glass, which means using a touch screen, trackpad or computer mouse isn’t ideal. The Census Bureau also found that the number of Americans with disabilities increased from 2005 to 2010 by 2.2 million. As the general population ages and Baby Boomers retire, the number of Americans with disabilities is likely to increase. That’s well over 35 million potential consumers that you’re turning away. 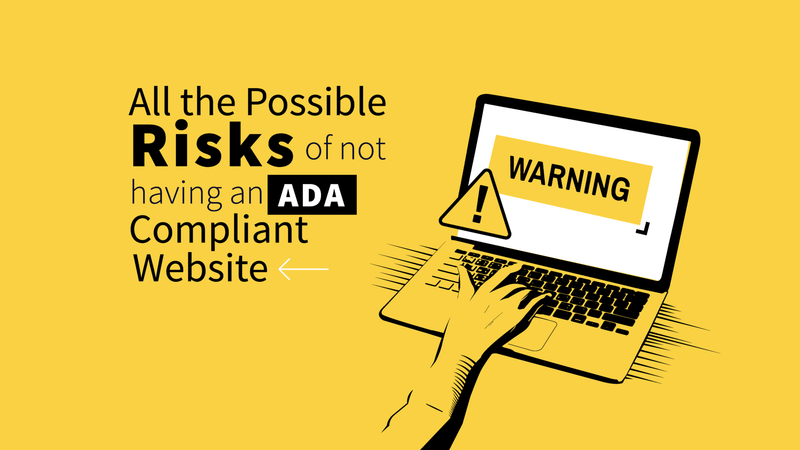 As a business owner or digital publisher, you need to be mindful of the risks of not having an ADA compliant website. With ADA website compliance lawsuits surging, there’s a good chance that you’ll have to deal with this issue. If you decide not to comply with the ADA, you’re in trouble. New legal precedents are being set all the time. So be sure to stay tuned for the latest news on ADA website compliance laws.